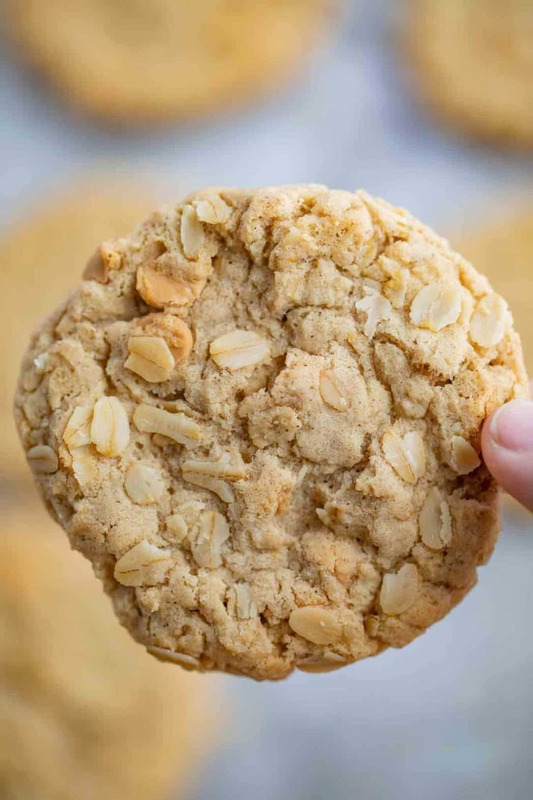 Oatmeal Scotchies are a chewy, buttery oatmeal cookie filled with butterscotch chips. The perfect twist to the classic oatmeal cookie. 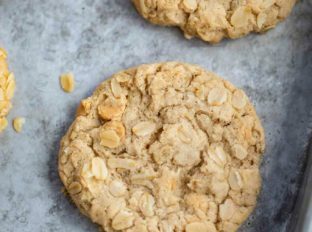 We love oatmeal cookies (my classic Oatmeal Raisin Cookie is a kid favorite) and these chewy cookies don’t disappoint! You’ll want to fill these with my amazing Classic Buttercream Frosting. They’ll be your favorite cookies ever. 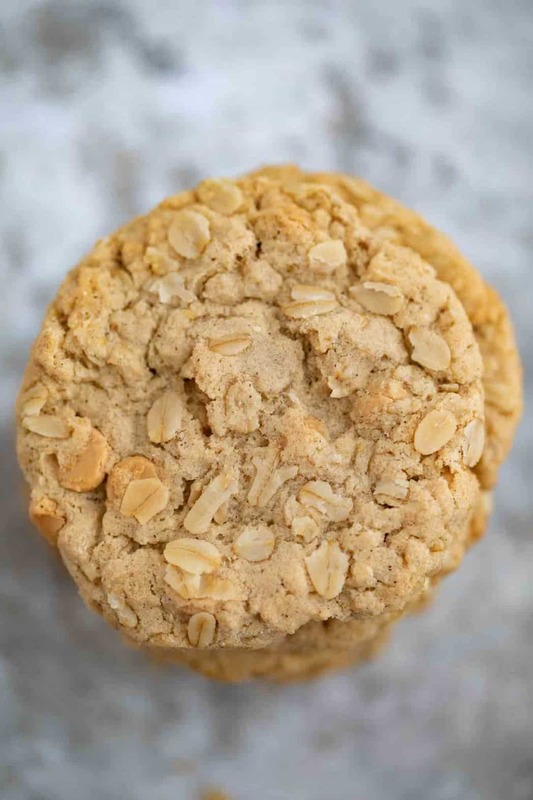 Old Fashioned Oatmeal Scotchies are the perfect combination of chewy classic oatmeal cookies with butterscotch chips. We love the addition of butterscotch chips because they add a fun caramel flavor without the work of adding fresh caramel or dealing with melted and hardened caramel chips. 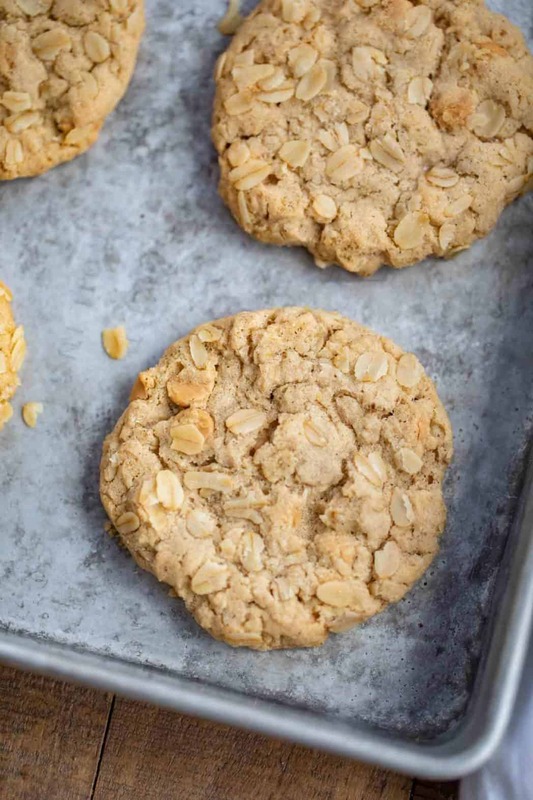 These cookies stay buttery, chewy and moist and will rival your favorite oatmeal cookies! These cookies have a classic flavor to them but you can make them your own too. We like to add in chocolate chips, white chocolate chips, chopped nuts, sometimes a 1/4 cup of peanut butter, some ground cinnamon or instead of light brown sugar you can add in dark brown sugar for a deeper molasses flavor. Instead of using flour, grind instant oats into flour instead and use in place of flour and bake as directed. WHY ARE MY OATMEAL SCOTCHIES FLAT? If your cookies are baking flat you may need to refrigerate the cookie dough before baking. If you’ve let the dough sit out too long or if your kitchen is too hot and the butter has broken down in a kitchen that is too warm it won’t hold up it’s structure long enough to allow the cookies to bake thicker. 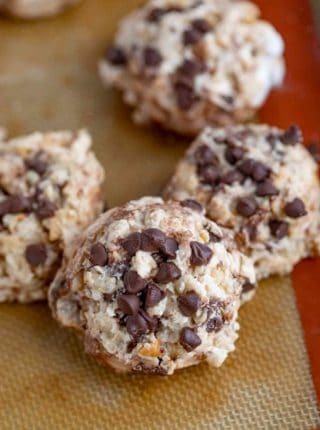 Using rolled oats instead of instant oats will also provide better structure for the cookies. To keep these cookies fresh and chewy keep them stored in a tightly closed container for up to one week. If you find your cookies are going stale faster than that, try including a slice of bread in the container with them to absorb any excess moisture that is making it’s way into the container. Can you freeze Oatmeal Scotchies? Yes, you absolutely can, just freeze them with parchment paper between layers, in an airtight container to prevent freezer burn. 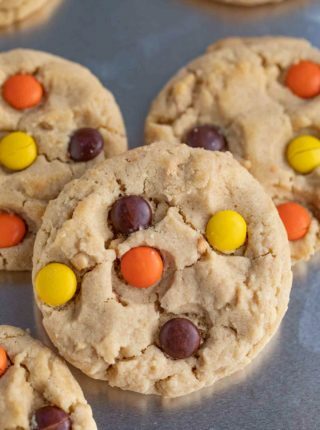 Use an electric mixer to beat the butter and sugar well until very light and fluffy before adding in the flour mixture and the butterscotch chips. Preheat the oven to 350 degrees and to your stand mixer add the butter and sugar on medium speed beating until light and fluffy for 1-2 minutes. Add in the egg and vanilla until well mixed then on low speed add in the flour and baking soda until just combined. 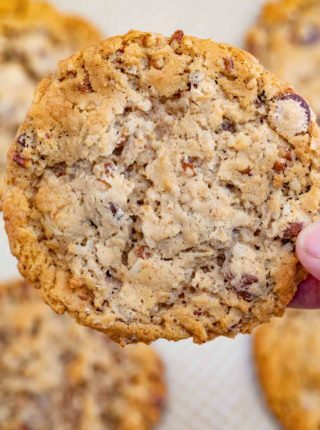 Add in the oats and butterscotch chips until just combined on low speed and using a 2 tablespoon measure scoop the dough onto a baking sheet and bake for 8-9 minutes. These cookies look so delicious! I love oatmeal cookies! Such a yummy treat! Enjoy! Butterscotch is not used enough these days IMO, so I’m thrilled to find this recipe with butterscotch chips. 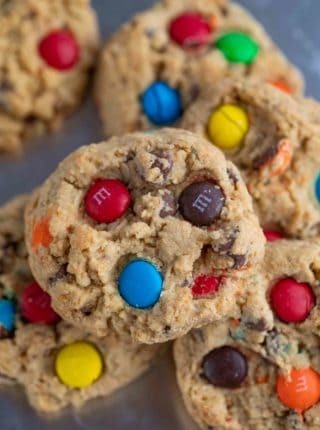 Your cookies look absolutely perfect and I’d definitely want two or three as an afternoon snack. Pinning this recipe. I haven’t had an Oatmeal Scotchie in way too long! Thanks for the pin, Jill. Mmm these cookies look so tasty and perfectly chewy. And I have all the ingredients, woo hoo! Can’t wait to try them. Yay!! I love it when that happens. These were so good! I couldn’t believe how quickly my kids ate them up. Thanks for another wonderful cookie recipe. So glad you all enjoyed them, Jen. Thanks for the 5 stars. This is the recipe I was looking for. I love the traditional oatmeal cookies but like to change it up a bit. It’s a fun twist. Enjoy!